In my opinion, a party always looks a little naked without a balloon. Sure, it may not be the most important part but it’s pretty high on my list along with yummy food and an easy 1-2-3 cocktail! 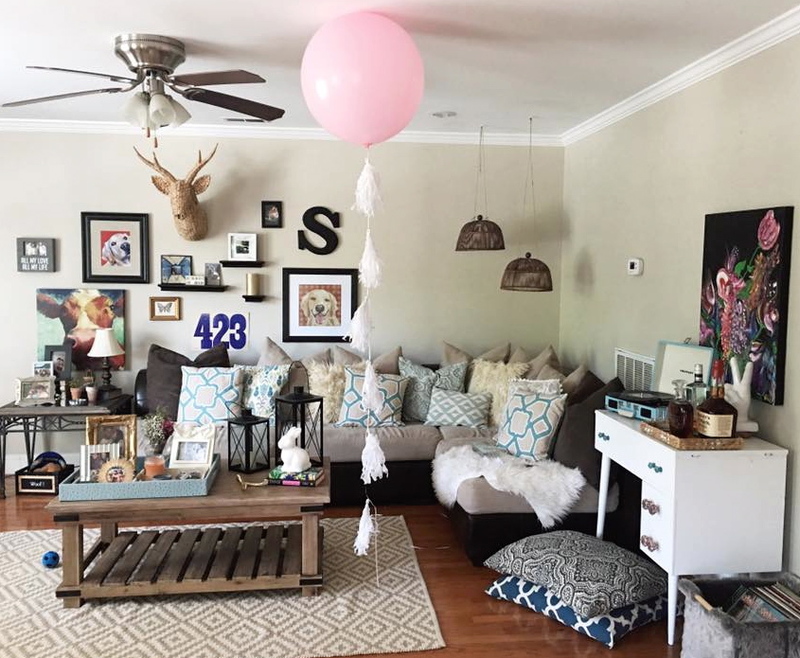 Gone are the days of bundled up, plain balloons. Let’s have fun! Big balloons. Shiny word balloons. Emoji Balloons. 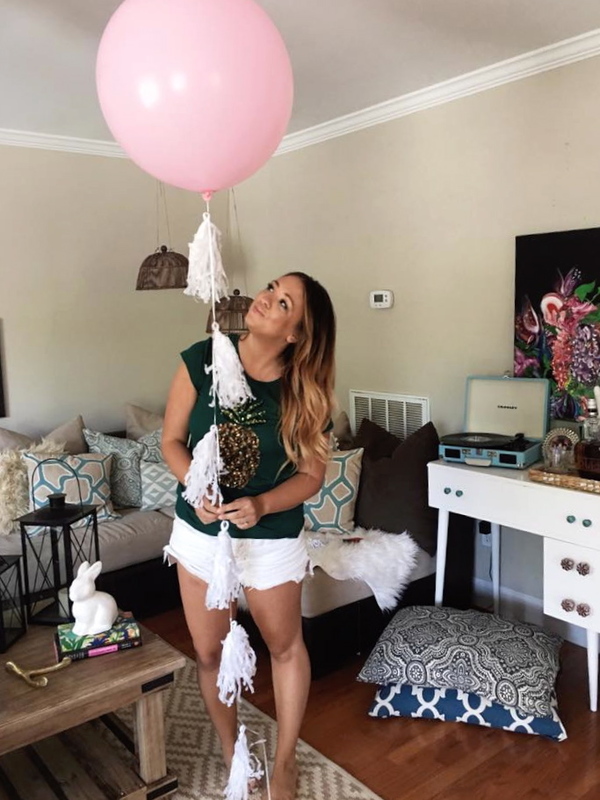 The list goes on and on, sure you could take the easy route (don’t feel bad we’ve all done it) and order a pre made balloon for your next big event, photo op or Girl’s Night In, but these tassel balloons are SO easy and SO adorable. 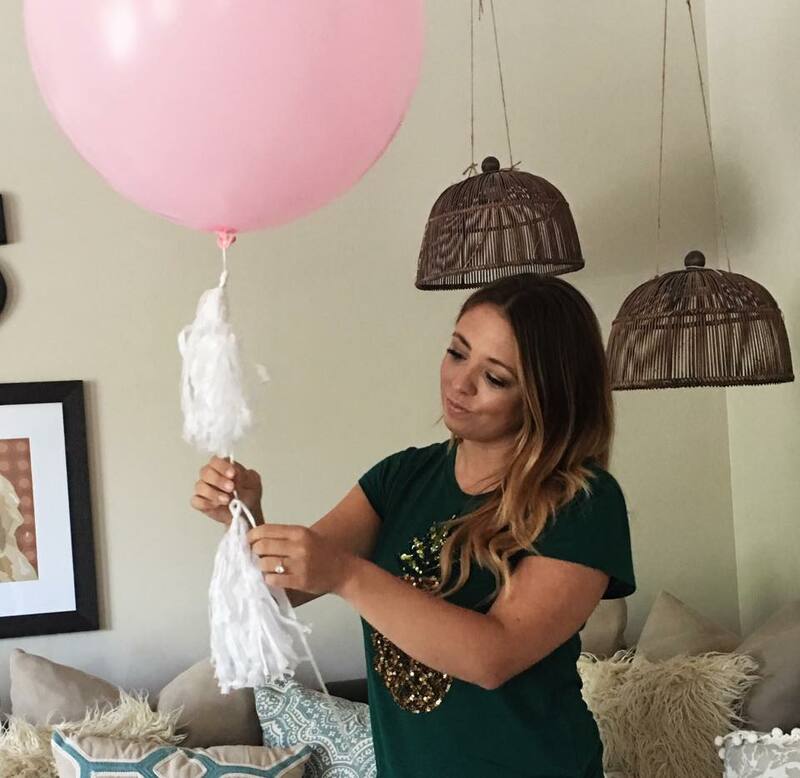 Today I’m sharing all my inflatable filled secrets, just for you! 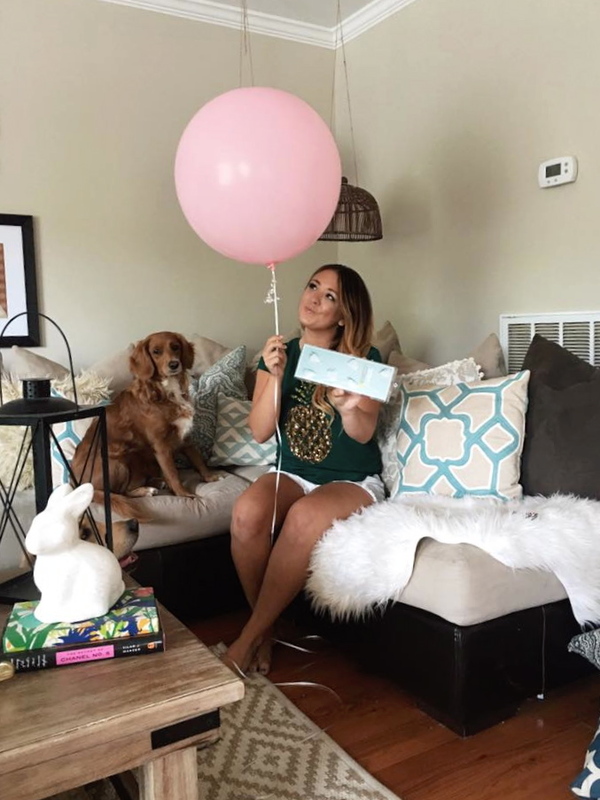 First, you’ll need a balloon of your choice. I grab these oversized round ones from Party City. They are 24″ & only $5. Next you need some tassels. I grabbed these all white tassels from Target for $5. 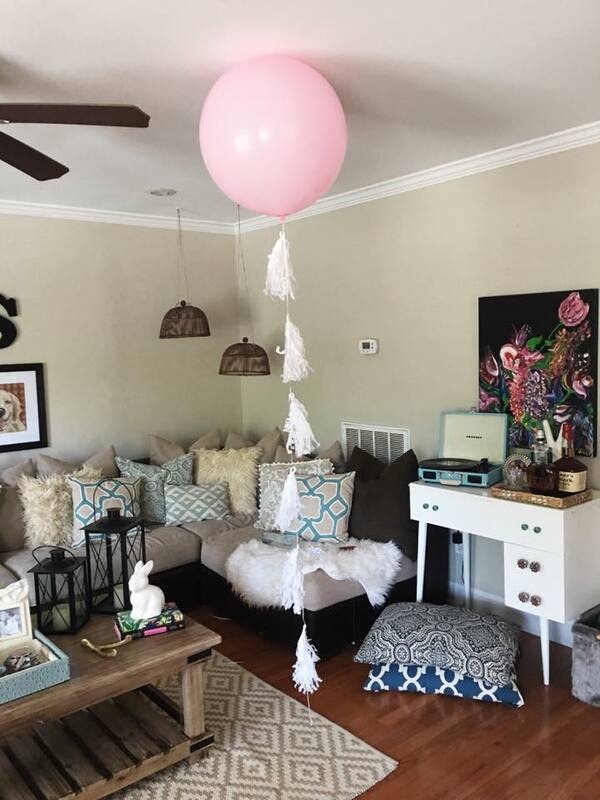 –As long as you don’t accidentally let your balloon fly away #Guilty, you can keep these tassels and reuse them as a garland or on future balloons. I ordered these tassels for my next balloon. That’s it! All you’ll need. 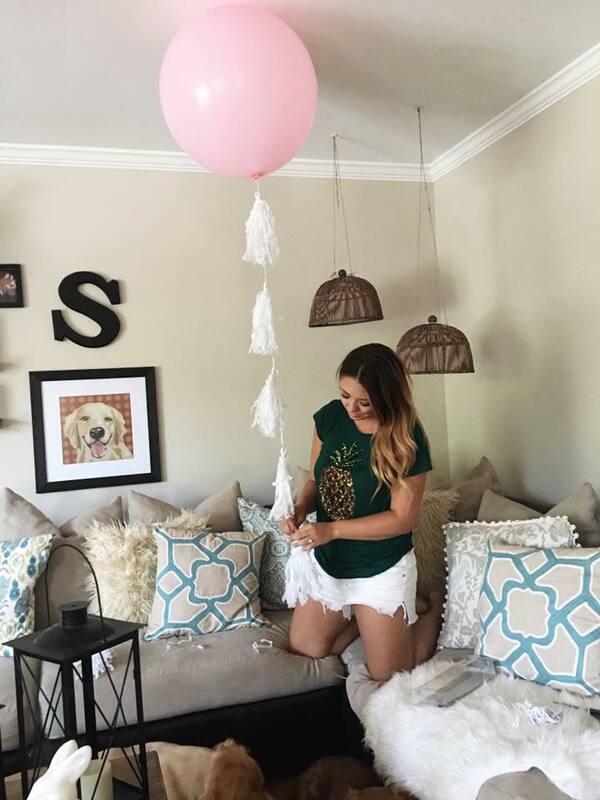 Start by taking a tassel and tying it as high up on the balloon string as possible. Next, figure out how far apart you would like to place your tassels. You could mark the string with a sharpie to have them exactly spaced, but I just eyeball it. I tie each tassel with a single knot that way I can adjust them if needed. Tie the next tassel and repeat. Do this until all tassels are attached. 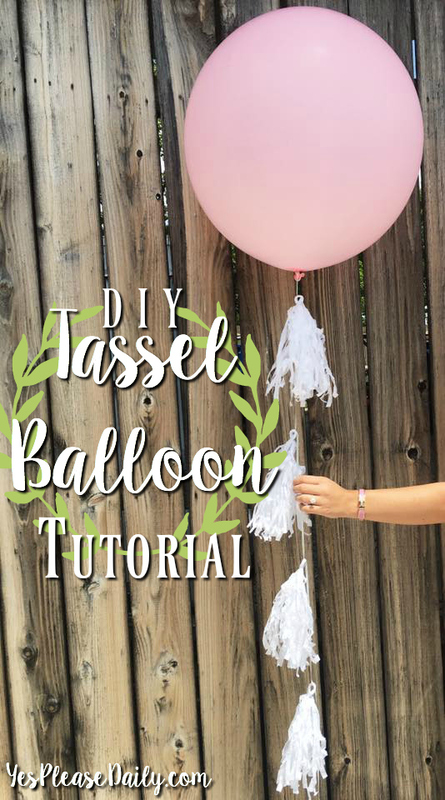 This is a seriously easy tutorial with a seriously adorable result! 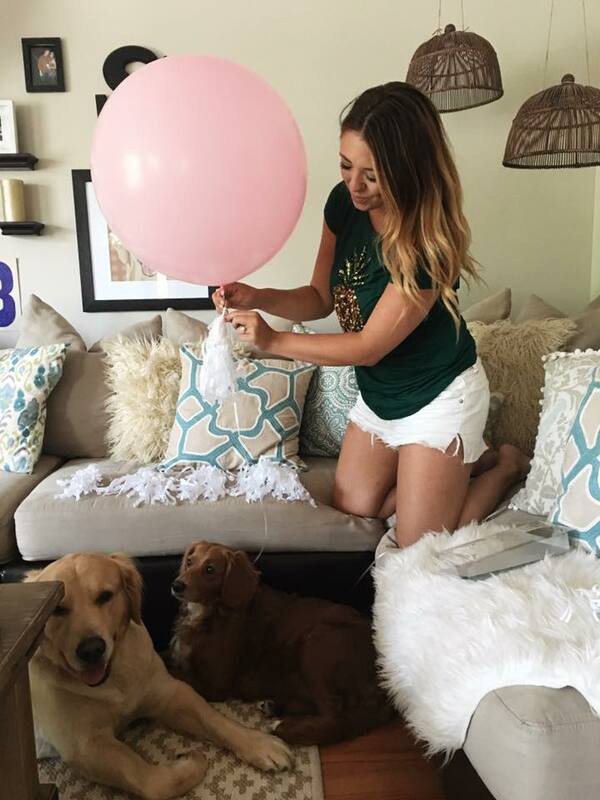 You can tell in the photos, the dogs are on high alert of the balloon above them, HA! Wahla! You’re done. How stinking cute is it!? 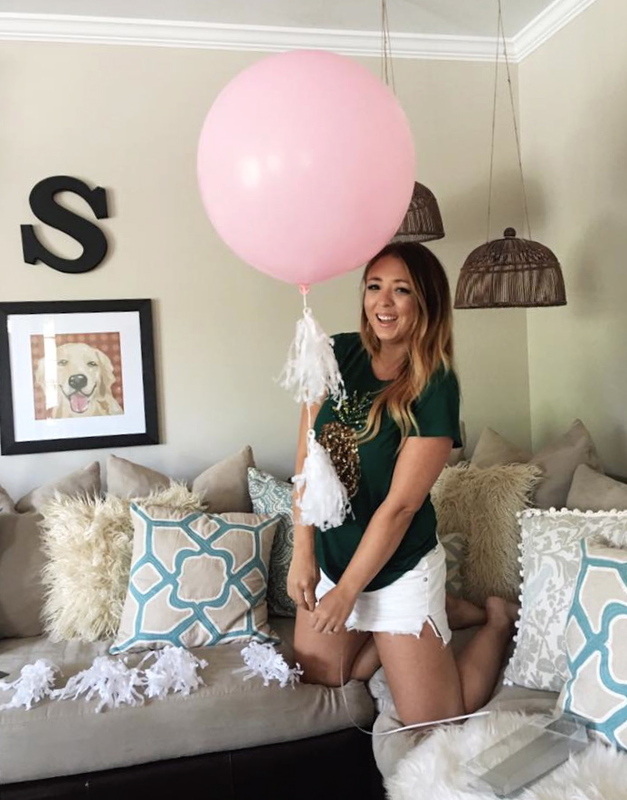 I think they are perfect for parties but also a fun prop for blog pictures, gender reveals, baby announcements, or even Christmas photos (think red, green and gold for the perfect color combo!). 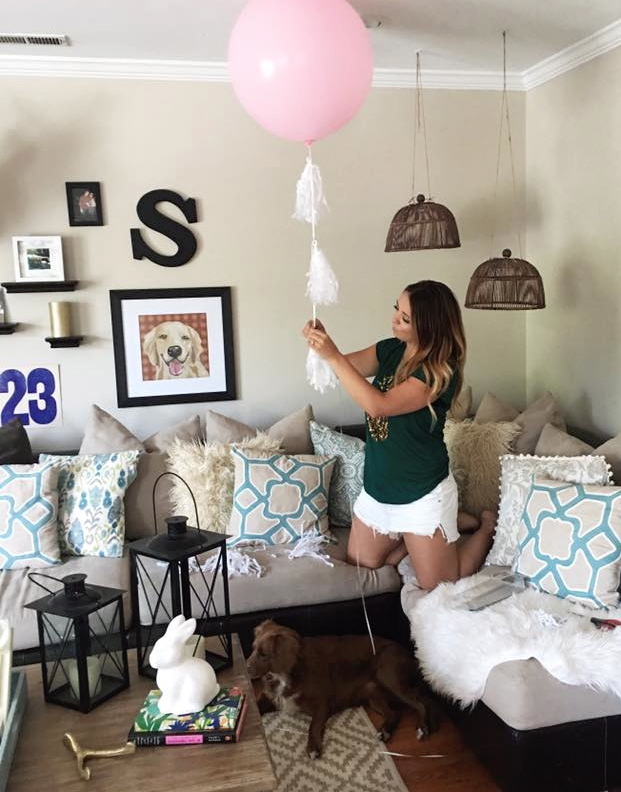 We used an all white balloon for our engagement photos! 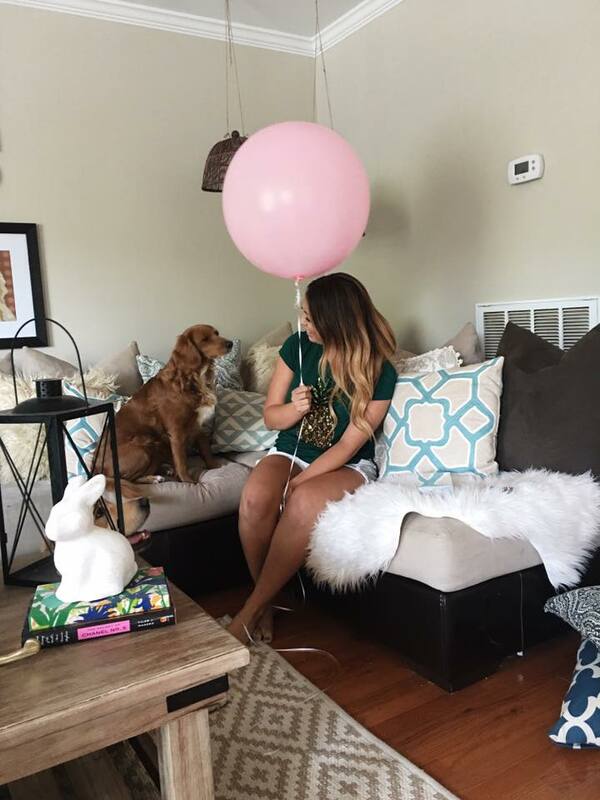 If you are short on time or not in the DIY mood, this is my favorite site to order fun balloons from! 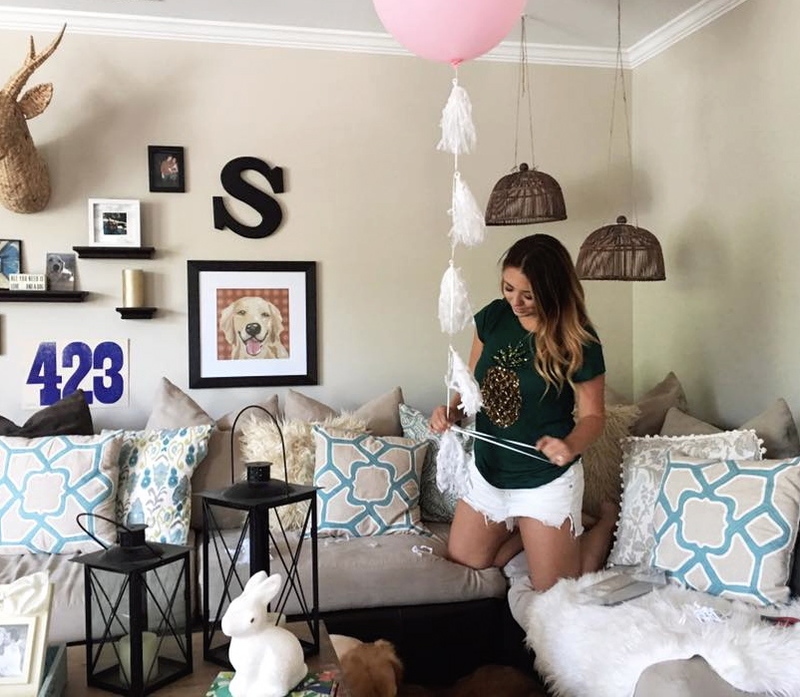 I’m finally finishing up our house and I love that I have space in our living room to do crafts! I hope you enjoy these little tutorials because I plan to share many more DIYs. 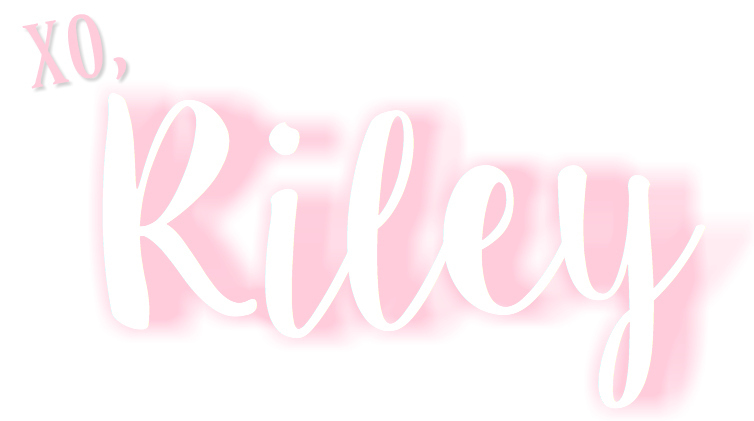 I’ll also be sharing our house on here soon, make sure to sign up for the newsletter here so you don’t miss it!